Instructions on adding images to email signatures within the OotW. 1. Click the Gear icon in the top right corner of the screen. 2. From the menu that appears on the right, under My app settings, click Mail. 3. Under the Options menu that appears on the left, go to Mail, then under Layout, select Email signature. 4. 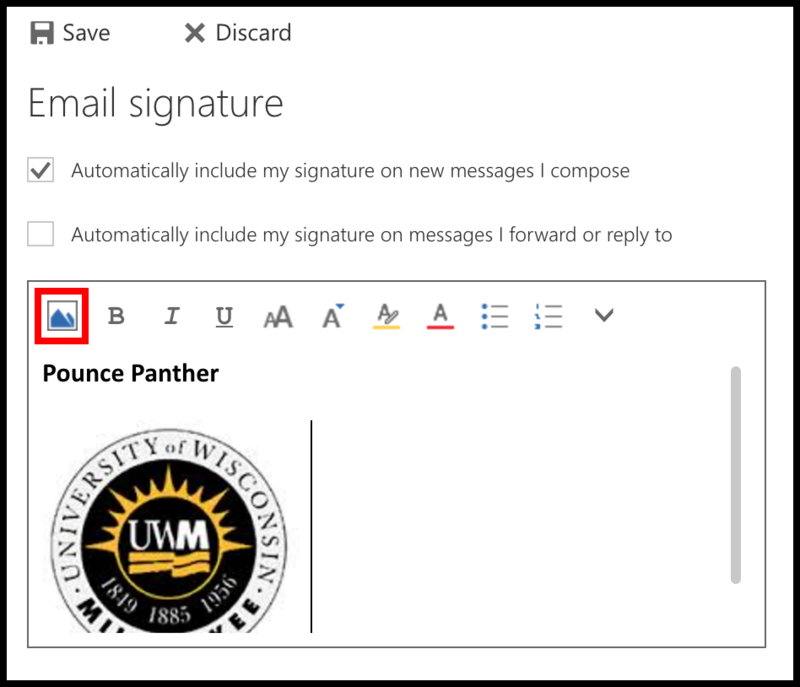 In the Email Signature creation page, you can select the Image icon to upload an image from your computer to your signature.